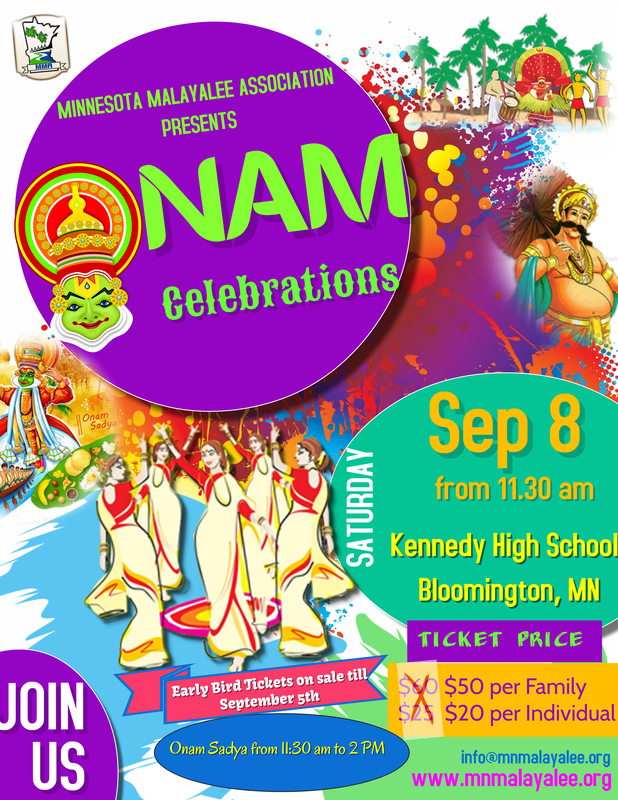 Minnesota Malayalee Association invites program registrations for Onam 2018 on September 8th 2018. This is our flagship event of the year and we are so excited for all the programs. Early Bird Tickets will be available on sale soon. Click below for Onam Program Registration and Rules & Guidelines!